AT THE VERY edge of Niagara Falls water seems to throw itself over with an abandon of mythical proportions. The sheer force is mesmerizing: a mighty, terrifying spectacle of millions of litres of water dropping 30 stories, landing with a thunderous roar and sending up a churning tumult of foam and mist. All along the promenade, tourists from every part of the world gazes in hypnotic wonder, getting soaked by the mist when the wind changes, and clicking photos like there’s no tomorrow. An old stone parapet, the only barrier between the tourists and a misstep of doom, lines the walkway. Watching this scene, it occurs to me that the tourists are, in fact, awestruck. Like so many things about Niagara Falls, the cliche just seems to fit. 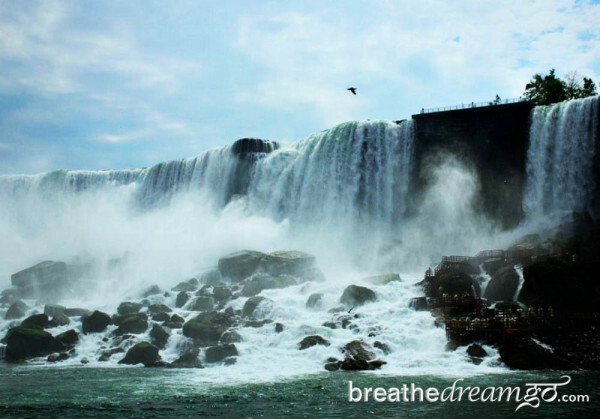 But is the desire to feel awestruck enough to make Niagara Falls one of the top tourist attractions in the world today? Or, is there something more? Each year, about 12 million people make the journey to a small town in southern Ontario, a couple of hours drive from Toronto, to visit Niagara Falls. There are 500 waterfalls in the world higher; there are many that are far more picturesque. But there are none that are more powerful. 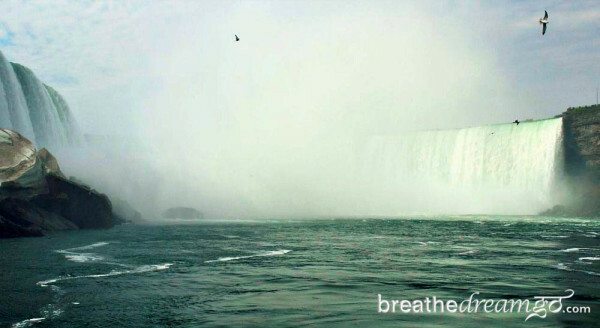 In terms of width and volume of water, Niagara Falls is number one. When I travel in India, and tell people I’m Canadian, invariably they say they would love to see Niagara Falls. Like the Taj Mahal, it has a global reputation as a world wonder and many long to behold the spectacle. So I went, one sunny day in May, to explore the Niagara Falls phenomenon and find out if there’s an underlying reason for the enduring appeal. What makes Niagara Falls the world’s top tourist attraction? As I sat in Elements on the Falls restaurant, at a table overlooking the Falls, my Niagara Parks guide, Holly, said, “A million bathtubs full of water a minute go over the edge.” I stared at the Falls. I was having trouble seeing a million bathtubs of water. But I was having no trouble falling into a hypnotic trance. The Falls seem to do that to people. And they’ve been doing it for a long time. Niagara Falls may in fact be one of the world’s first tourist attractions. I don’t know about the habits of the Aboriginal people who are native to southern Ontario, but early European settlers have been going on excursions to picnic on the banks of the Niagara River where the mighty falls drop 52 metres since the mid-1600s. The first sketch by a European appeared in a book published in 1697. During the 18th century, tourism became popular, and by mid-century, it was the area’s main industry. By the 1900s, going to Niagara Falls was considered the trip of a lifetime. The 20th century saw the era of daredevils — did you know the first person to go over in a barrel was a woman? — and the rise of the honeymoon capital of the world. Growing up in nearby Burlington, I too went on many excursions to Niagara Falls. Though in my case, “because it’s there” might well have been the motive. There are certainly many things to see and do, when you tire of being mesmerized by moving water. There’s the town of Niagara Falls, Ontario — the tourist town that sprang up alongside the ‘Horseshoe Falls,’ which are the more spectacular Canadian falls. The town offers a multitude of distractions for visitors who are in a holiday mood from bizarre museums and themed restaurants to a casino and more souvenirs than you can shake a snow globe at. 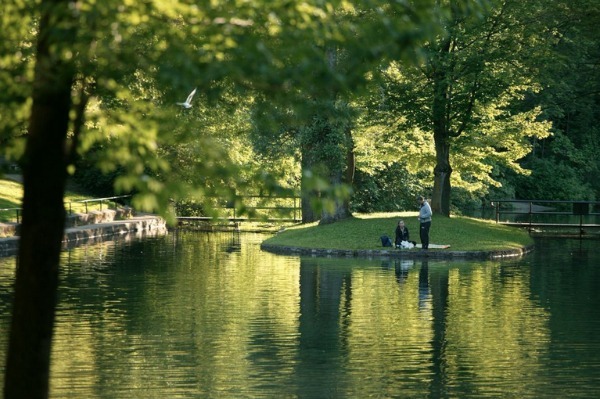 And the surrounding region, administered by the Niagara Parks Commission, features a multitude of diversions, from the Butterfly Conservatory and the Whirpool Aero Car to about half a dozen gardens and picnic areas and a cluster of heritage sights, including the quaint Laura Secord homestead. Niagara Parks is also responsible for the nightly illumination of the Falls and the summer fireworks series. Holly was outlining all that Niagara had to offer when the waiter arrived bearing a plate of samosas. Tasty Indian treats were just the thing I needed as I pondered. But one thoughtful couple, with a small boy, from Delhi stopped and chatted with me after we went through the Journey Behind the Falls together. 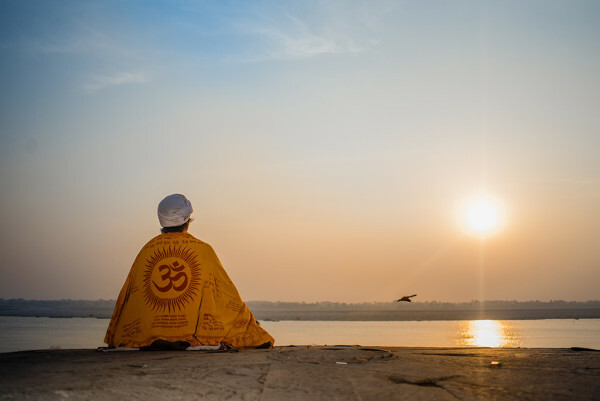 They explained that to Hindus in India, the five elements — earth, air, fire, water and ether — are venerated as the sacred building blocks of life. Water in particular is revered as “the river of life.” Perhaps, they suggested, this deep connection with the water element could be part of the draw. After much pondering, exploring and discussing, I decided that the water is what Niagara Falls is really all about, after all. I think there’s a primordial attraction to water, especially water of this magnitude and power. So that’s what I did on my weekend in Niagara Falls. I let my fascination with the thundering onslaught be my guide and discovered the best ways for getting up-close-and-personal with Niagara Falls. Family from Delhi at Journey Behind the Falls. 1. The Promenade. People have been strolling along this river side walkway for literally centuries, and it’s a delightful way to meet the Falls. 2. Journey Behind the Falls. You can go through an old tunnel, to stand on a platform mere metres beside the torrent. Along with the Hornblower cruise, this was my favourite activity and I am putting it firmly at the top of the “must do” list for Niagara Falls. There is a strange and wonderful atmosphere in the old tunnel, built in the early part of the 20th century by men in suspenders wielding pick axes. And standing outdoors, right beside the Falls, with the full power of it right in your face, drenched even with a yellow disposable rain coat, is truly pukka. On the deck of the Hornblow Niagara boat. 3. Hornblower Niagara Cruise. You can go out on the Niagara River in a Hornblower boat, covered in a raspberry disposable raincoat to the very base of the Falls. Getting this close does two things. It soaks you, even with the raincoat, and it whips you into a strange frenzy. Perhaps it’s all that mist and thunder. Virtually everyone who ventured out onto the front of the deck was wild with excitement as we sallied forth into the eye of the mist storm. 4. Fireworks. I watched fireworks over the Falls from my room at the Embassy Suites Hilton Hotel. My top tip is to get a room with a view of the Falls — luckily, there are plenty to be had as hoteliers realized the value of these when building the many new high rises that line the main street of Niagara Falls, Ontario. The Embassy Suites are particularly great for families. 5. Niagara Helicopters. I went up in a helicopter to hover over top and see the river calmly collect itself before the big hurtle. 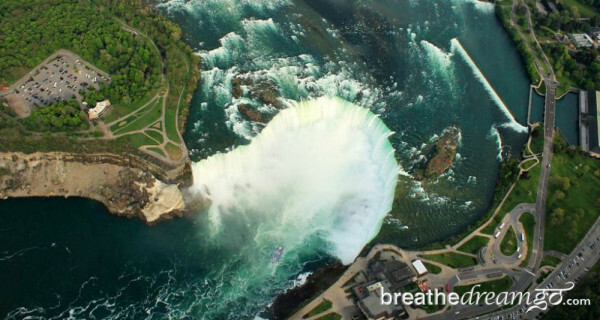 Though I enjoyed getting this bird’s eye view of the natural phenomenon, I missed the up-close-and-personal encounters of the Hornblower cruise and the Journey Behind the Falls. However, if you’ve never been in a helicopter before, this is the place to do it. 6. Elements on the Falls Restaurant. And of course I enjoyed sitting at a falls view table at Elements on the Falls, eating samosas, drinking tea and leisurely watching one of the wonders of the world. Niagara Falls as seen from helicopter ride. The first European to see the falls was either in 1615 or 1626. The first sketch of the Falls, by Father Louis Hennepin, appeared in a book published in 1697. 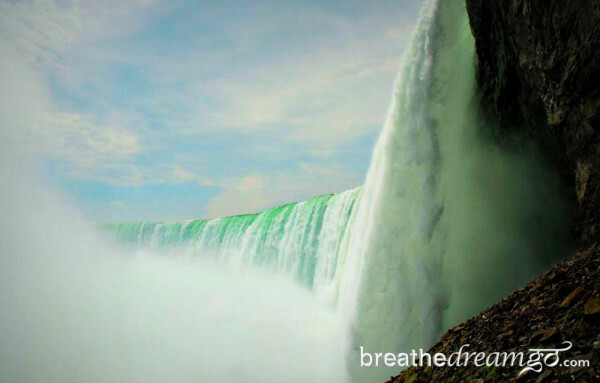 Niagara Falls is the biggest waterfall in the world by the volume of water (an average of 750,000 gallons each second). The Canadian Falls are 52 metres high and the crestline is 670 metres wide. Subscribe to the free — and inspiring! — e-newsletter that helps you live your travel dreams. Thank you for reading. Please visit Breathedreamgo or stop by my Facebook page at Breathedreamgo.